The Functional Art: An Introduction to Information Graphics and Visualization: What happened to El País' infographics? What happened to El País' infographics? Note: This post was written after talking with ten sources who are familiar with El País graphics desk, including its director, Tomás Ondarra. At least two sources asked independently from each other corroborated each assertion. Most sources chose to remain anonymous to avoid retaliation. El País was still a name to consider in infographics in 2005, when it won the Peter Sullivan award in the Malofiej competition with a multimedia project. Since then, it has vanished from the map. It keeps producing graphics, but what appears in El País online is unexciting static projects adapted from the print paper. How is that possible in a time when doing an interactive chart or map is almost trivial thanks to Plot.ly, Datavisu.al, Raw, BlockSpring, Datawrapper, Tableau Public, and so many other free tools? After all, plenty of tiny visualization departments and individuals who are not backed by large budgets or staffs are capable of publishing outstanding work thanks to them nowadays. The answer is a lesson on how rigid structures and dynamics inherited from the past can hinder change in news organizations. El País' graphics desk is headed by Tomás Ondarra, an experienced infographics artist, painter, and book author. Nothing wrong with being an artist, of course. A lot of illustrators are also excellent graphics journalists who have kept up with the times. The challenge El País faces is different, and it doesn't seem to be essentially based on the background of its graphics director, on shrinking resources, or on the fact that this is a notoriously knotty organization to navigate, contrary to what Ondarra —“backstabbing is common currency here”— uses to point out. The challenge El País faces is simple and tricky at the same time: Its graphics desk is led by someone who is oblivious of Web visualization technology, motion graphics, or even new tools for print graphics, who is unaware of the fact that history is overtaking him, and who, therefore, can do little to remedy the situation (2). He's completely focused on ‘feeding the goat,’ as the title of a recent report about the news industry says, and claims to be incapable of making his team steer toward a more productive and satisfying path. Not to mention his lack of professional decorum when he threatens and insults colleagues as a reply to fair remarks (3). This is, at the end, a leadership problem. 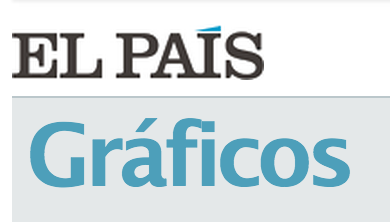 Years ago, the small group that used to produce multimedia infographics for El País (and that was, in practice, independent from the graphics desk) left the organization. Since then, the scarce interactive visualizations (1, 2) at elpais.com began to be created not by the graphics department, but by the technology and research team, which has its own designers. This state of affairs has led to a huge waste of talent —El País graphics desk has plenty of it— in what used to be, two decades ago, one of the leading names in news infographics. It also illustrates how bad newspapers can be at identifying ineffective management within their ranks. (1) I'm talking about general news, not about sports newspapers. (2) The scenario is made even more paradoxical by the fact that Ondarra's deputy, Rodrigo Silva, was trained as a computer scientist, so it's reasonable to assume that he's familiar with some of these technologies. (3) Don't try to use Twitter's translate feature to read that. It's hard to understand even if you are a native Spanish speaker. In any case, you know how much I love bullies, don't you?